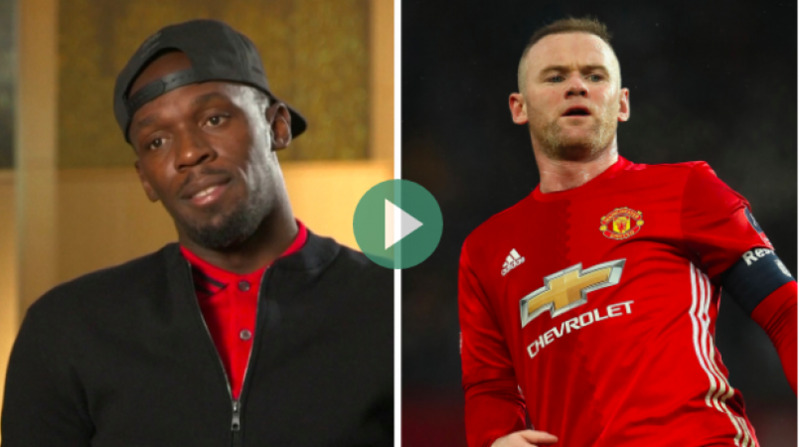 Usain Bolt seems to be trying to speak his dream of playing for Manchester United into existence. The eight-time Olympic gold medal winner wants to trade his track spikes for football boots with studs when he retires from athletics. Wayne Rooney is the captain of Manchester Unnited. According to the ManUtd.com website, Rooney is Manchester United's all-time leading scorer and the only player to have scored 250 goals for the Reds. The Jamaican 30-year-old this week walked away with the 'Oscar of Sports', the Laureus 'Sportsman of the Year' award for the fourth time, thereby joining tennis legends Roger Federer and Serena Williams, and surfer Kelly Slater as four-time Laureus award winner. He received the award at the awards held in Monaco on Valentine’s Day, February 14, 2017. “I’ve always wanted to try play football so that’s in the pipeline, we’ll see what happens.